The care an injured soldier receives in the pre-hospital setting is set forth by the Committee on Tactical Combat Casualty Care (TCCC). This committee was established in 2001 with its roots in Mogadishu, the endeavor on which the movie Blackhawk Down was based. The committee consists of enlisted personnel (75%) that must have Special Forces and deployment experience along with Officers and civilian Physicians (25%). The biggest change the military experience has brought to civilian trauma care is the management of external hemorrhage. If you’re like me, you were taught in EMT or Paramedic class that tourniquets should never be applied unless you had to sacrifice the patient’s limb to save their life. We now know, from multiple papers, that tourniquets can be safely applied to a bleeding extremity and left in place for up to four hours with no risk of ill effects. For bleeding that we can’t see, the military experience has brought tranexamic acid (TXA) to civilian trauma care. In fact, TXA is now in the protocol for most EMS providers in the Greater Cincinnati region when caring for a trauma patient with suspected hemorrhagic shock. This, along with the concept of permissive hypotension, has significantly changed how we manage suspected shock patients in the pre-hospital setting. No longer should we be administering IV fluids to our trauma patients unless there are signs of decompensated shock. These signs are limited to an alteration in mental status and/or a loss of radial pulse. Even a systolic blood pressure below 90 mmHg is not reason to administer a fluid bolus. Hypotension has actually been found to slow bleeding from large vessels and help a clot form. 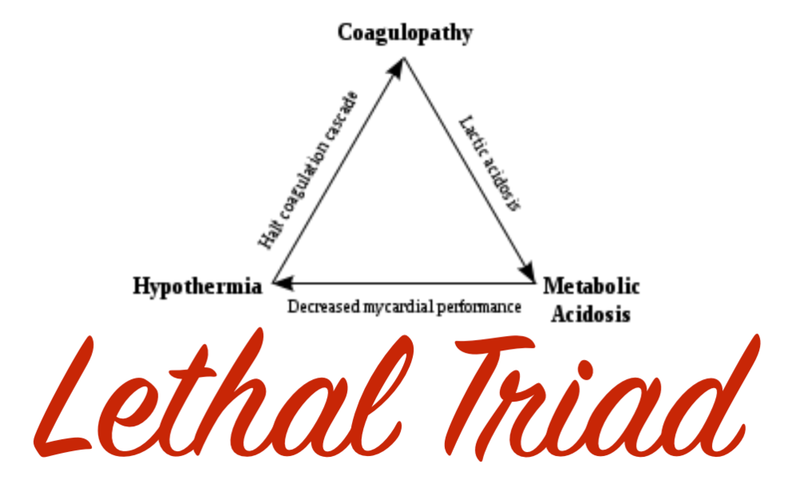 We also discussed our understanding of the lethal trauma triad – hypothermia, acidosis, and coagulopathy. These three components combine to form a vicious cycle that can lead to rapid death of a trauma patient. The portion of the lethal triad that EMS impacts the most is the prevention of hypothermia. Blood clots with only 60% efficiency and effectiveness when a patient’s body temperature falls to 96 degrees Fahrenheit or below. Therefore, it is essential that EMS providers take steps to maintain normal temperature when caring for a trauma patient. Lastly, we discussed the use of Ketamine for pain management. Ketamine is gaining a lot of momentum in the civilian EMS setting. Ketamine treats pain from trauma by blocking NMDA receptors. That is important in that it does not affect the brain stem. So, it does not have the same ill effects that morphine can cause such as respiratory depression, bradycardia, and somnolence. Moreover, the patient maintains a cough and gag reflex which allows them to still protect their own airway. You can learn more about the TCCC guidelines by clicking on the link below. 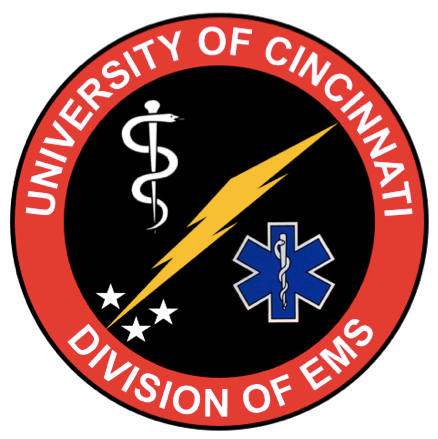 If you’re in the Cincinnati area, keep in mind that UC Medical Center offers free Trauma Rounds Observation for EMS providers every Monday, Tuesday, and Thursday beginning at 7am. You can schedule your session by contacting Lauren Stenger, Trauma Outreach Coordinator, at the link below. Also, if you transport a trauma patient (or any patient for that matter) via Air Care or to a UC Health Hospital you can receive follow-up information on your patient by completing our online patient follow-up form found at the link below.